China Aviation Oil (CAO) is one of the largest jet fuel traders in the region and the only licensed importer or bonded jet fuel into China. It supplies to international airports in Shanghai, Beijing and Guangzhou, as well as to international markets. Efforts to diversify its jet-fuel-centric revenue base has driven the growth in trading volumes of other oil products like crude oil, and a steady and rising cashflow from investments in oil-related assets like pipelines and storage. China was one of the fastest growing outbound tourism markets in the past decade, accounting for c10% of total global outbound travel. It is expected to remain so as it has a burgeoning ‘travel-ready’ middle class that is set to drive a 4.5-5% CAGR in passenger traffic and a doubling of outbound travel to 200m by 2025, according to various industry forecasts (i.e. IATA, UNWTO, aviation periodicals and aircraft OEMs). CAO, as the sole licensed importer of bonded jet fuel into China, is in a prime position to benefit from this structural growth trend. Geographic diversification efforts in recent years has led to jet fuel supply operations in some 47 airports outside China across Europe, North America, the Middle East and Asia ex-China. CAO has also expanded operations to trade other oil products, in part as a strategic effort to diversify its jet-fuel revenue concentration and supplier base, as well as built an investment portfolio in oil-related infrastructure to mitigate the volatility inherent in the trading business. Middle Distillates: This core segment engages in jet fuel and gas oil supply and trading. CAO is the sole licensed importer of jet fuel in China. A focus on growing international presence in recent years has seen CAO expand operational footprint to some 47 airports in geographies outside China as well. Other Oil Products: This segment is fairly small. It supplies and trades fuel oil and crude oil – the former is to build foothold and sales network in Middle East, Europe for end markets and the latter to Chinese refineries to diversify its jet fuel supplier base (which is currently Korea and Japan centric). Oil-Related Assets: Includes investments in oilrelated assets like storage tanks, pipelines etc. with associate equity stakes. CAO currently has five such investments - the largest two in profit contribution terms are its 33% stake in Shanghai Pudong International Airport Aviation Fuel Co. (SPIA) and 26% stake in Oilhub Korea Yeosu Co. Ltd (OKYC). Incorporated in May 1993 by Chinese state-owned enterprise, now China National Aviation Fuel Group Corporation (CNAF), for the purpose of importing bonded aviation / jet fuel into China for use by international outbound flights. The company was listed on the main board of the Singapore securities exchange in Dec 2001. Announced cUSD550m losses from speculative options trading in Nov-2004. Stock was suspended as the company subsequently underwent debt and equity restructuring. The following year saw BP Plc enter as a 20% strategic shareholder, a new Board of Directors appointed and measures to strengthen corporate governance, risk management and internal controls implemented. Stock resumed trading in Mar-2006 and all outstanding debts paid off in May-2007, four years ahead of schedule. CAO ranked in Forbes Global 2000 list as one of the most valuable companies in the world for the years 2013 to 2015 and in 2017. Scale advantage: CAO is one of the largest physical jet fuel traders in APAC with 32.6m tonnes of supply and trading volume in 2016 (1H17 at 15.7m tonnes up 14.9% YoY). High regulatory entry barrier: CAO is the only licensed importer of bonded jet fuel into China supplying the fuel requirements of international flights. CAO’s majority shareholder CNAF, which owns a 51% stake, is a large SOE under China’s State-owned Assets Supervision and Administration Commission. China a high-growth market: According to UNWTO, China was one of the fastest growing outbound tourism markets globally in 2006-2015 and it’s expected to remain so with a doubling of outbound passengers to over 200m forecast for the 2016-2025. Additionally, CAO’s stake in SPIA provides exposure to one of the fastest growing airports in the region that is on the cusp of completing an expansion programme with the addition of a fifth runway by end-2017 and a new satellite terminal in 2018. The Chinese government also has medium-term plans to build international aviation hubs that are further inland, like in Wuhan and Chengdu. PRC airline relationships for international markets: CAO’s entry strategy for these markets is to typically form strategic alliances with Chinese airlines as a supplier (usually offering slightly better credit terms than competitors in the market). Profit volatility inherent in business model: For the jet fuel supply business in China, revenues are derived from a basic fixed USD/bbl margin. That said, the company hedges against potential price volatility of the underlying commodity for each trade with derivatives. Hence overall margins for each trade could differ widely depending on the commodity, the derivative used for hedging and direction of the underlying commodity price up to pricing date. Hence overall profits and margins are extremely hard to forecast on an annual basis (see Business strategy section for more detail). Competition in international markets: CAO does not enjoy the fixed USD/bbl revenue structure outside of China. Pricing in international markets is open and has a high degree of competition from existing suppliers as well as International and National Oil Companies (IOCs and NOCs) that have some competitive advantages of integrated operations. Exposed to storage cost movements: CAO does not own any storage facilities apart from its equity stake in OKYC, which provides a right-of-first-refusal (ROFR) for the facilities in Korea and it’s exposed to short-term fluctuations in storage rates. Supplier concentration: Physical cargoes are mainly sourced from Korea and Japan at present. CAO is working to increase its list of suppliers from other geographies, including teapot refineries in China. Further geographic diversification: Market diversification over the past few years have yielded results with Chinarelated revenues accounting for c46% for 1H17 vs 80% in 2010. Management indicates it has further diversification avenues in new sites, particularly in North America and Europe. Acquisitions: A cashed-up balance sheet with net cash of cUSD188m as at end-2016. This provides CAO with the flexibility to build on its investment portfolio of hard assets. Currently CAO’s focus markets appear to be the US and Europe. Threats Possible loss of monopoly importer status: While this risk is likely low given its SOE parentage, a second licensee would materially impact CAO’s China market share. Changes to PRC tax structures: A significant reduction in taxes/tariffs for domestic jet fuel would narrow the price differential between domestic and bonded jet fuel. This in turn may erode CAO’s market share. Company guidance Revenue & profit: Management does not provide any forward guidance on revenue or profit growth due to the degree of uncertainty in forecasting these variables over the long term. This is because revenues are determined by the level of energy prices throughout the course of the year while profits are driven by trading spreads that can greatly vary from trade to trade based on the degree of contango or backwardation price curves through the duration of the order placement to delivery date. building more airports nationwide with the target of reaching 270 airports by 2020 (currently there are 215 airports in China, of which 56 service international flights). M&A: In the near term, CAO is on the lookout to acquire more strategic associate stakes in oil-related infrastructure, such as pipelines and storage that can provide some advantage for its core middle distillates supply and trading business. But management also stated it has been hard to find suitable assets in its focus growth markets of the US and Europe. This is due to the industry structure where entrenched suppliers and traders also own large parts of the supply infrastructure as well. Dividends: CAO’s dividend payout policy is at 30% of net profit and unlikely to change in the near term. That said, we note that CAO has been paying out higher than the stated policy for the past three years (dividend payout at 35-44% for FY14- FY16). That said, CAO expects associate dividends from SPIA is likely to be lower in FY17 due to the capex it is incurring in building the fifth runway and satellite hub expansion at Shanghai Pudong International Airport. The following details and hypothetical illustrations are provided for a better understanding and appreciation of CAO’s supply and trading operations of its Middle Distillates and Other Oil Products segments. Over 90% of total trades are backed by physical cargoes and 10% or less are paper trades. Physical cargoes are 100% customer order backed. China jet fuel supply trades earn a fixed USD/bbl margin; international supply trades do not have any such fixed margin. The business is very asset light and all fuel storage facilities area leased (and CAO has a right of first refusal to use storage facilities in its associated investment companies). Unlike many oil product trading firms, CAO also holds very little physical inventory (just c13% of Total Assets at end FY16). This inventory is held principally to comply with 15-day buffer supply requirements of Shanghai Pudong International and Hong Kong International airports. Physical trades are financed with rolling credit lines of around USD3b with various banks and LC’s typically cover 60-70% of trade value. Airline and airport supply customers typically provide CAO a rolling 3- month forward volume requirement forecast. The cargoes are priced on the spot market a month before delivery. Contango and backwardation markets employ differing strategies to try and maximise the trade margin. A short-term directionless oil market is negative for trading margins, particularly so for non-PRC supply shipments that do not earn a fixed USD/bbl. CAO does not have many directly-comparable peers. While there are a number of energy trading entities in the market, many are part of larger integrated organisations (such as IOC’s, NOC’s and independent refiners), as few focus primarily on jet fuel supply and even fewer are listed. Amongst the closest listed peers with a comparable business model are Worldfuel Services (INT US; NR) and Bangkok Aviation Fuel Services (BAFS TB; NR). 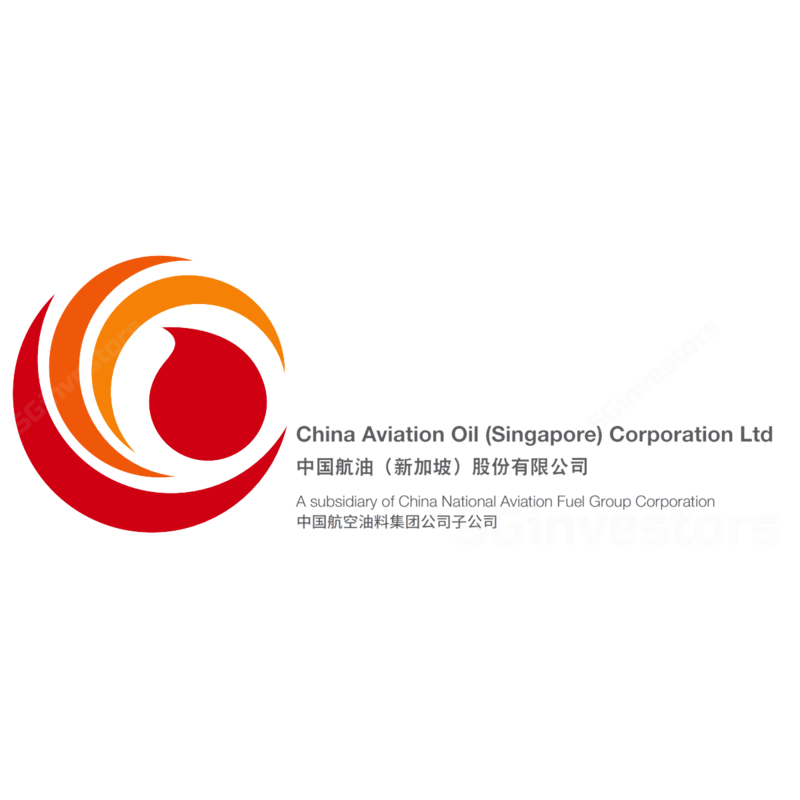 Two other companies in the region involved in supply and trading of a wider suite of crude, refined oil products, LNG, petrochemical products with own distribution and storage infrastructure are Sinopec Kantons Holdings (934 HK; NR) and CEFC International (CEFC SP; NR). CAO’s historical FY16 P/E valuation is significantly lower than these peers while FY17 is comparable to Sinopec Kantons but much lower than World Fuel Services (the other two companies do not have forward consensus forecasts). Exposed to China, which is one of the fasted growing aviation and outbound tourism markets in the world. International operations still low-base in many countries/regions with headroom to grow along with Chinese airlines increasing flight frequency as well as from growth along China’s One-Belt One-Road corridor. Potential to grow from more investments in oil-related infrastructure assets that also provide steady cashflows with lower volatility than the trading business. Potential to grow from the structural shifts in the jet fuel supply industry with IOCs and NOC’s increasing outsourcing or divesting jet trading operations (trading viewed to be noncore and it is a small part of their portfolio). Trading at a significant discount to World Fuel Services, the closest comparable with a business of jet fuel supply to airports across the US and internationally. Return on average equity at c14% for FY16 and a mean of c13% over the past five years. Eight consecutive years of profitability since the starting FY09 and through the two large downturns in oil prices since. Solid balance sheet, rapid cash conversion cycle, low customer credit risk (SOE is the key customer in China; international customers are mostly airlines). Some potential for dividend upside if suitable investments or acquisitions are not made in the near term. Volatility of profits: Profits have low predictability despite the outlook for growing traded volumes due to the variability in margins of each trade. A flat directional oil price environment is particularly bad for trading margins. Storage costs: As CAO does not own storage infrastructure, storage costs are outside its control. A spike in storage costs (similar to the 2013/2014 period in the APAC region) could erode margins significantly. Failure of physical cargo delivery: Physical cargo supply to airports and airlines that rely on timely delivery is CAO’s core business. But CAO is not part of an integrated supply chain or a larger oil company and it has to source cargoes from the open market. A failed cargo delivery for reasons such as supply tightness or others would be damaging both financially and from a reputational standpoint. Currency risk: CAO’s trading business is principally USD based (energy products are priced in USD) and its financial reporting currency is USD as well. However, a small proportion of supply contracts in China are priced on CNY and its associate profits from China are also in CNY as well. The company estimates that a 5% CNY depreciation will roughly have a USD1m impact to net profit. Market risk: The energy trading business faces a high degree of market risk. CAO indicates that it strictly monitors Market Value at Risk (MVaR) on a daily basis within set parameters of volumetric limits, stop-loss limits etc. CAO reports that for FY16, the daily MVaR utilisation rate based on a 95% confidence interval remained stable YoY with an average MVaR utilisation of USD400K. Customer credit and concentration risk: Geographic accounts receivable concentration is expected the highest for the China market at 55% in FY16 but we view this risk to be low as the key counter-party is an SOE-linked entity. The second highest country concentration is Singapore at c19%, followed by Hong Kong at c15%. In terms of credit-risk concentration based on its internal credit rating system and rankings from A to E, CAO’s exposure was mainly to Grade B (c47%) and Grade C (c45%) counter-parties.